If Paris was a warning, Madrid made it perfectly clear. Barcelona’s approach again left them vulnerable to sides that can attack them with speed and pace, and in Real Madrid, there is no one better at exploiting that. 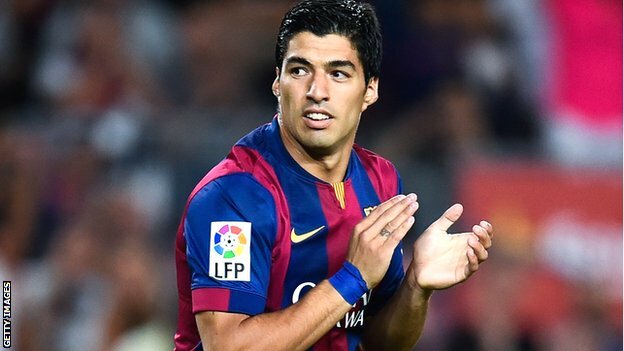 The big news coming into this fixture was that Barcelona would be getting Luis Suarez back from his four month ban. By the end of this game, Suarez was a mere footnote, with the headline being the disappearance of Barcelona’s midfield. How did that happen? Two words: Luis Enrique. The Barcelona manager fielded a bizarre team, to say the least. Claudio Bravo was between the posts, while the defense was composed of Dani Alves, Gerard Pique, Javier Mascherano, and Jeremy Mathieu. Seeing that, you’d expect a more defensive left side of the pitch, the tall Frenchman to stay back while Dani Alves did Dani Alves things (heart attacks to Barcelona fans after he gets dispossessed and teams break down the right flank not included). But for some reason, Luis Enrique decided Mathieu could also attack, linking up with Messi and Neymar on more than one occasion with disastrous results. If you wanted your fullbacks to attack, why not play Jordi Alba, who is the better offensive fullback by far? This wasn’t even Lucho’s biggest mistake on the day. Further up the field, Luis Enrique got cute and nostalgic, starting Xavi and Iniesta alongside Sergio Busquets. This isn’t 2011, Lucho, and asking Iniesta and Xavi (especially Xavi) to cover for the fullbacks and press is next to impossible and was suicidal tactically. The fact of the matter is, changing the system like Luis Enrique did renders the Barcelona midfield of old obsolete, and Dani Carvajal and Marcelo especially were delighted to expose the fact for everyone to see as they repeatedly got forward past the nonexistent midfield. But we’ll get to that later. Up front, Messi and Neymar welcomed Luis Suarez back from his ban, and the Uruguayan made his mark on the game early by setting up Neymar’s 3rd minute goal. He would also be involved later on when he set up Messi on a chance the Argentinian scores 99 times out of a 100. Iker Casillas, playing a great game and answering all his haterzzzzz, parried this one away and Barca were still a goal ahead despite the best efforts of Real. However, Madrid would get their chance to score soon enough. A Cristiano Ronaldo penalty after a Gerard Pique handball – Pique has been a disaster for Barcelona all season long, some might even say even longer – put Real level with Barcelona and appeared to be the turning point in the game. From then on, Madrid’s midfield of Luka Modric and Toni Kroos asserted their dominance with James Rodriguez and Isco. The four man midfield was immense today, with Isco playing the role of Angel Di Maria. It’s a shame he doesn’t start on a regular basis because of Gareth Bale, as he gives Real’s midfield the balance they lack when the Welshman is playing. In the second half, Real Madrid came out flying once again. This game showed how much better Real are than the Catalan team, and whether it’s a fault of tactics or personnel remains to be seen. Lucho’s tactics weren’t optimal, but Real has, for the most part, the fitter, more physical squad. Barcelona’s once obvious technical advantage has also been diminished, as Real possess in Luka and Toni, the better midfield. Madrid’s second goal came off of a set piece, Toni Kroos finding Pepe all alone for a powerful header from a corner in the fifty first minute. This emboldened the merengues even more, and ten minutes later, a glorious counter attack goal from Karim Benzema had Real up 3-1. If the second goal made Madrid confident, then by goal number three, they were treating Barcelona like a championship side, with Barcelona willing to comply. Countless times, Real broke down the Barcelona flanks, getting to the area with relative ease before either overpassing or being wasteful in the final third. 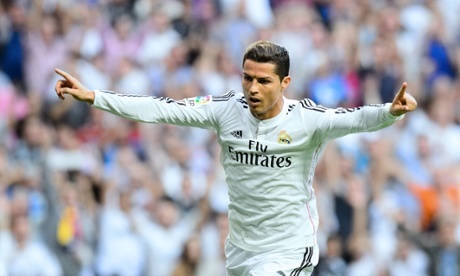 Cristiano Ronaldo almost seemed hesitant to shoot, and really, had he played better, he would have had five. The 3-1 scoreline was very flattering to Barcelona. The once vaunted midfield is all but gone, and Lucho’s decision to go nostalgic and play Busquets, Xavi and Iniesta backfired. Real were playing without a defensive midfielder, something that in theory should have been to Barca – and Messi’s – benefit. But it was all for naught as Barcelona decided to attack down the Madrid flanks with Dani Alves and Jeremy Mathieu, playing right into Real’s counter attacking hands. This also had a knock down effect on the midfield as Xavi and Iniesta were tasked with covering their full backs, something that they simply cannot do. Because they were out wide often, there was no one in the middle of the pitch to orchestrate play and calm things down. The fact of the matter is, Barcelona no longer create play through their midfield, with the Barcelona midfield shuttled out wide and the middle of the park often static until Messi drops deep enough to collect the ball and create an opening. Defensively this helps the fullbacks (at least when the right personnel is used), but exposes the middle of the pitch. Offensively, it stifles the midfield and Barcelona becomes more reliant on Messi, Neymar and Suarez to create chances, and those three will create a lot of chances when they click. However, while this will work against the majority of teams in La Liga, as soon as Barcelona is drawn with a team that is willing to attack it, like, say in the Champions League round of 16, they are toast. Barcelona, for the first time in a long time against Madrid, were disorganized, panicky and lost. In contrast, Madrid were fluid, calm and controlling. In no place was that more evident than in the midfield. Toni Kroos, Luka Modric, James Rodriguez and Isco all attacked with purpose, knowing exactly what to do when they got the ball. Meanwhile, Busquets, Xavi and Iniesta, when they were in the middle of the pitch, did not. The blame for that falls on the manager. Carlo Ancelotti once again had a wonderful game plan which his players – Isco especially – executed brilliantly. Luis Enrique, however, has seemingly lost the plot. This entry was posted in Features, La Liga and tagged barcelona, Dani Alves, Gerard Pique, Jeremy Mathieu, Karim Benzema, La Liga, lionel messi, Luis Enrique, luis suarez, Messi, real madrid, Toni Kroos. Bookmark the permalink. 1 Response to Is Luis Enrique Bad At Managing Big Games?